What you see – and what you don’t – is an architectural reinvention of outdoor grilling. No mountainous hoods. No lumbering curves. 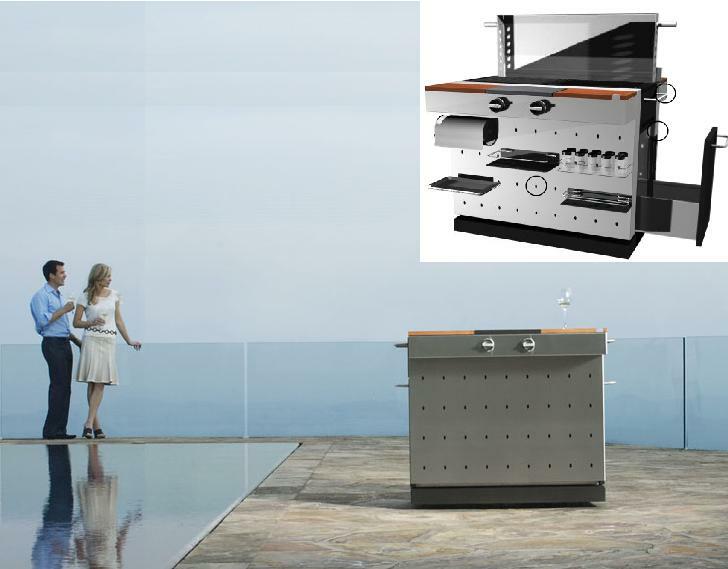 Just streamlined functionality that puts modern design on the front burner. Geometric slots cut into stainless steel allow you to peg optional accessories onto the side panels such as ceramic food trays, spice jars and rack, a paper towel holder, even a champagne ice bucket. Choose to round out the Fuego experience with a cast iron griddle, a deep fryer, a steamer, a wok adaptor with a wok and an all-weather grill cover.